The DF Grand Prix is the ultimately hind shoe in Kerckhaert’s very popular DF program. 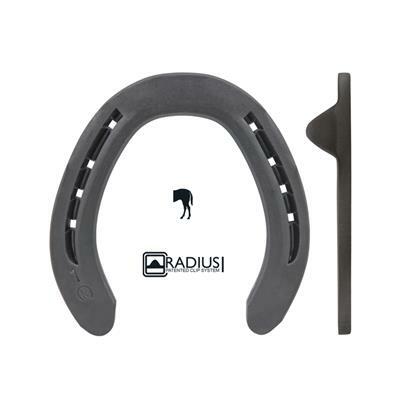 Developed for the farrier to shoe horses hind feed so they improve hoof balance and movement, especially in high level competition horses. Many horses require extra support on the hind feet. The DF Grand Prix has been designed by Royal Kerckhaert to have wider outside branch and heel than a normal DF shoe. 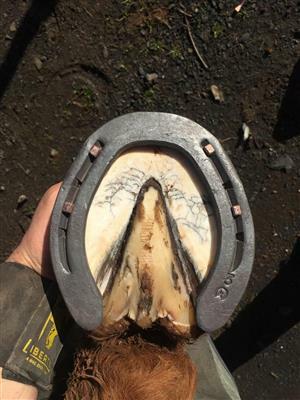 This feature allows the farrier to place the normal shoe in the correct position so that the horse’s limb receives the maximum support when the horse carries more weight. As the nail hole position is not compromised, the farrier can still drive the nail into the correct position in the floor. This reduces hoof wall damage and keeps the shoe secure.